Branding is very important for websites&apos; distinct identity. Visitors instantly recognize your website from your trademark logo, favicon and color scheme. You can customize these for the uniqueness of your website. In any theme you choose, hover your mouse over the default logo and you&apos;ll see the option to customize it. Use the file manager to locate the logo on your computer. You can also modify the size of your logo. Choose "Reset to Default" at any time to switch back to default logo. Favicon is used for branding the browser tabs that your visitors use to view your website. It can be of file types png, jpg or ico. 1. Access Settings from the Manage drop down list. 2. Upload your custom favicon, preferably of dimensions 16x16 / 32x32 / 48x48 / 64x64, and of type ico, png or jpg. Banner is the most prominent area of your website, and can ideally be used to promote an event, a cause or your best bets. You can have one static image, a slideshow of multiple images or a flash file. 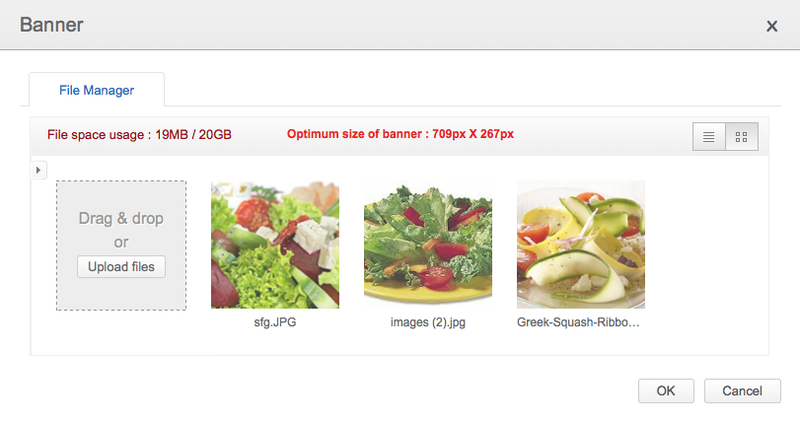 To set a banner image or a slideshow in the banner area, hover the mouse over the banner image and click on Customize. If you would like to change the default banner image, click on &apos;Change Image&apos; button and upload an image from your computer. You can link the banner image to a web URL or any page within your website or an email address or an anchor or link it to a file or phone number. You can add text or button in the banner using the paragraph and button element and link it to a destination page. 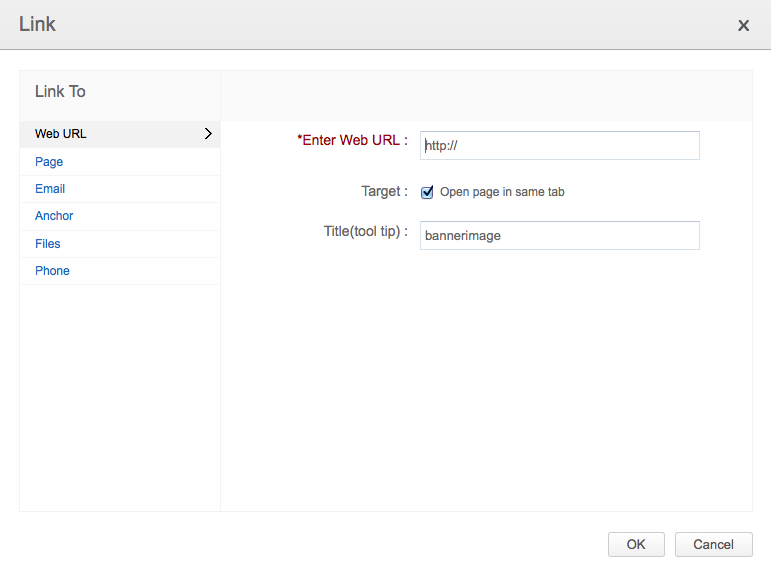 Similar to changing the image in the banner area, you can also set a slideshow or SWF banner in the banner area by uploading multiple images or flash files. Each image can be linked to different websites or files or pages etc., Buttons and text can also be added to images in the slideshow. When you set a slideshow in the banner area, you have the option to transition pictures sequentially with a chosen animation. You can play each slide with preferred transitions and there are a total of 19 transitions provided. The timing for each transition can also be set. Once the transition is set, it is possible to preview the same before saving the setting. 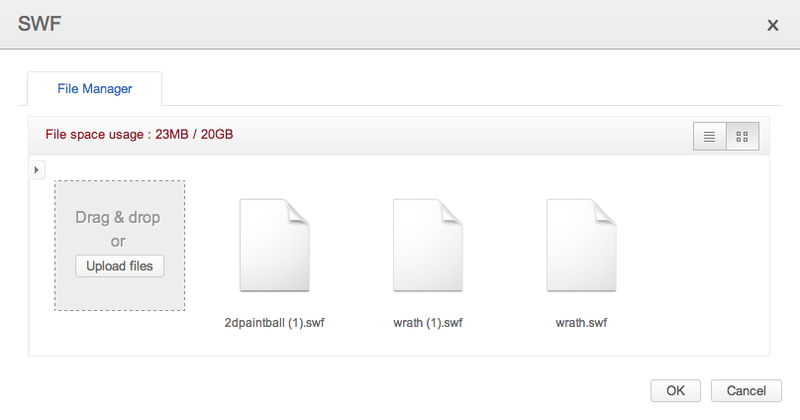 If you choose to use flash files you can choose the flash option to change the existing banner by adding flash files. You can now make advanced changes in your banner images like image resize, opacity level and banner presets for banner texts. To make those adjustments in your banner slideshow, click on the customize option in the dialogue box.